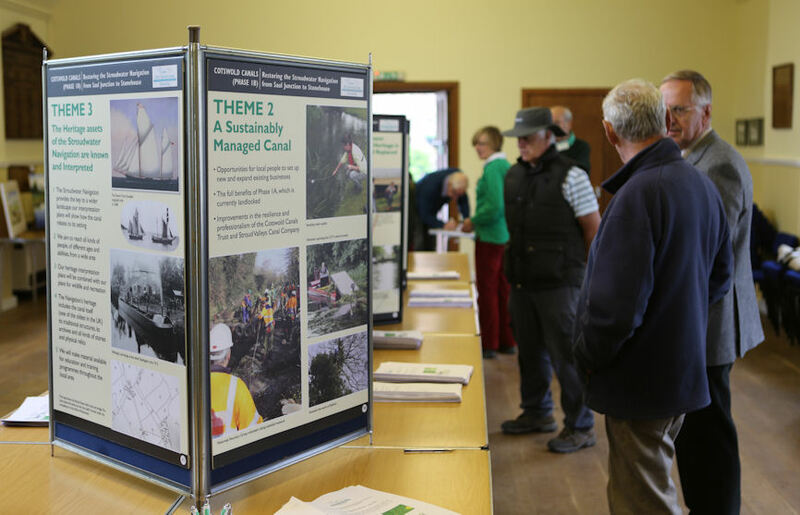 Over 60 people attended the Saul to Stonehouse Waterway Restoration Exhibition at Frampton on Severn on Saturday 13th June. The vast majority of the questionnaires expressed solid support for the restoration of the navigation between Saul Junction and Stonehouse. Consultation Project Leader Val Kirby commented,“It was a great turnout and we met an interesting group of people. 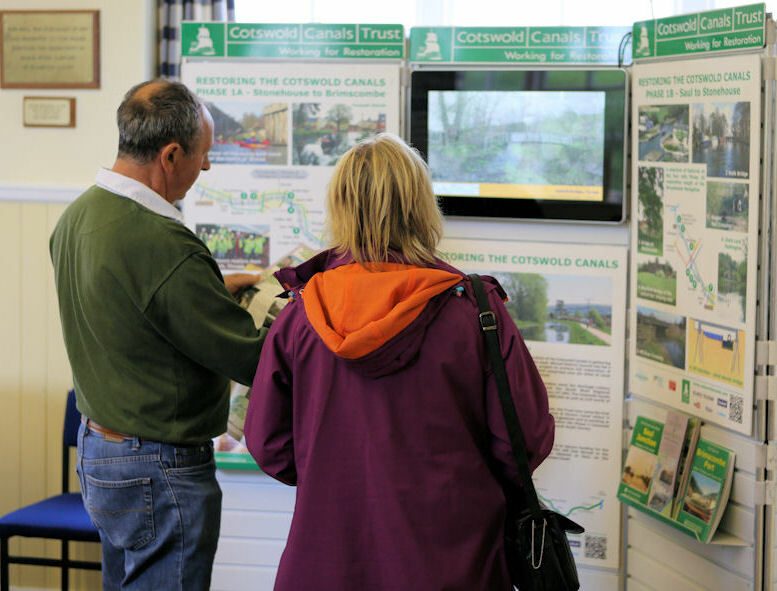 "The team of Cotswold Canals Trust (CCT) Volunteers staffing the exhibition identified an interesting theme to the questions and comments. The Gloucester — Sharpness Canal is already a leisure destination. Ramblers, wildfowl photographers, anglers and boat owners invariably travel to the various waterside access points in motor vehicles. Val Kirby was able to reassure the residents of Frampton and district that the restoration project team is already looking at prospective sites for car parking near the Stroudwater Navigation that do not adversely affect villages. “We do understand local concerns about problem parking and will do our very best to ensure the problem is not made worse. Indeed Frampton Green was a very busy place on a cloudy Saturday. Frampton's air of communal activity was further demonstrated by a well-attended Boules Tournament just along from the Village Hall. The tournament even attracted participation by some members of the exhibition team. Nevertheless, the exhibition provided the opportunity for three further families to endorse their support for the restoration by signing up as members. The next exhibition takes place next week at Stonehouse Community Centre in Laburnum Walk, GL10 2NS between 2pm and 6pm, Saturday 20th June. Click here if you cannot be there. Use the on-line questionnaire to have your say the easy way.